Sometimes it’s good not to be minimal, and have the coldness of a monochrome interior. 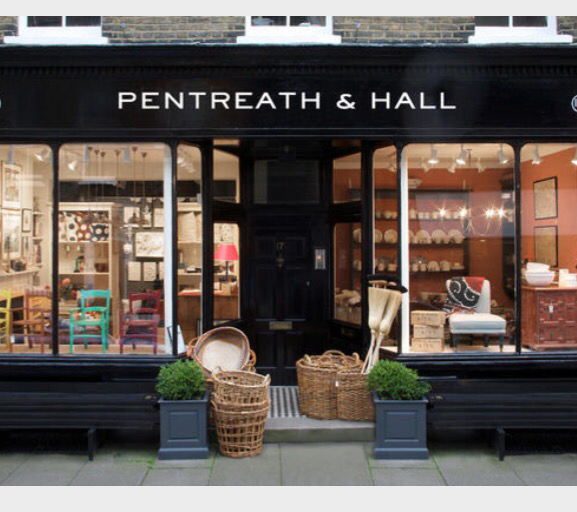 Pentreath + Hall embrace colour, pattern, beautiful design and layering up textures to ensure perfect interior inspiration. Tucked away in Rugby Street, Bloomsbury, London, this store is bursting at the seams with homeware, furniture and accessories. Also available online, every department is covered – a great place to buy interiors gifts or treat yourself to a new look for a room. Around for almost a decade, the duo behind the retail outlet have an interiors, architecture and artistic background. This has evidently come together perfectly in their great buying choices and curated ranges. Visit them online or in store. Currently you can enjoy shopping the Summer sale too. Posted on July 31, 2017 July 31, 2017 by home:blogPosted in featuredTagged accessories, armchair, ceramics, cushions, design, furniture, home, home accessories, homeware, interior design, interiors, lighting, london, online store, pentreath and hall, shopping, shops, soft furnishings, softfurnishings, trend, vintage.